Week 4 in my project 52 had the theme "A Different Perspective", which interestingly enough, applies perfectly to another post that I was working on in my head. 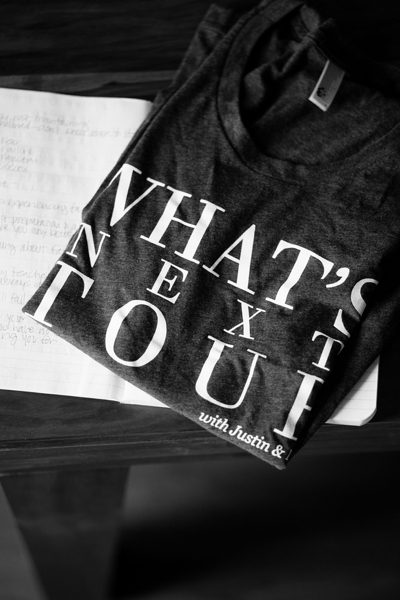 On Friday, I traveled to Kansas City to listen to Justin & Mary Marantz speak and teach at the final stop of their "What's Next" Tour. I left feeling exhausted, but incredibly inspired and ready to continue on my journey with a new perspective. Not only are Mary and Justin incredibly talented photographers, but they are also kind, humble, and inspiring individuals. I'm so very thankful that I had the opportunity to attend and learn from them firsthand. Mary began the day talking about fear and how to move forward toward your dreams. She said several things that resonated with me (like 5 hours worth of things!!) but one major one was that sometimes, we are our own worst critics. We feel "who am I to want this?" and wait on permission to go after our dreams (which will never come, unless of course, we grant ourselves permission). Mary encouraged us to stop thinking of our dreams as opportunities, but instead as obligations. She asked, "Who sacrificed so you could achieve your dreams?" and told us that we OWE it to them to live the life we've been given. We were all given some time to write a letter to someone in our lives who sacrificed and made it possible for us to chase our dreams, and for about 15-20 minutes the room was filled with soft music, the scratching of pens, and sniffling as people wrote letters to their loved ones. That day I wrote a letter to my mom, and I plan on mailing a copy of it to her (after I transcribe it into something legible!) but I wanted to share a bit of it here on the blog. Mary challenged us to stop waiting on someday, as "the biggest lie we tell ourselves is that there will always be more time". I refuse to live a life full of regret. In 40, 50...60 years, I want to look back and be able to say that the work that I did mattered, and that I left everything out on the table. *This post is mainly about Mary's section but I also wanted to say a huge, huge thank you to Justin Marantz for being willing to share his photography genius with everyone who attended. I learned so much and I am so excited to apply his techniques to future sessions and weddings. I hope someday I can attend their Walk thru a Wedding workshop, as I know I would continue to learn a ton from them both. Also thank you to Ashley, Liz & Ryan, and Jeremy for putting your lives and businesses on hold to help Justin & Mary put on this tour, the experience was invaluable to me. Also a huge thank you to all of the photographers who attended the KC stop, it was wonderful meeting you all - especially Christine (you are an amazing individual and it was an honor getting to know you! I hope our paths will cross again, I know great things are in your future! ).